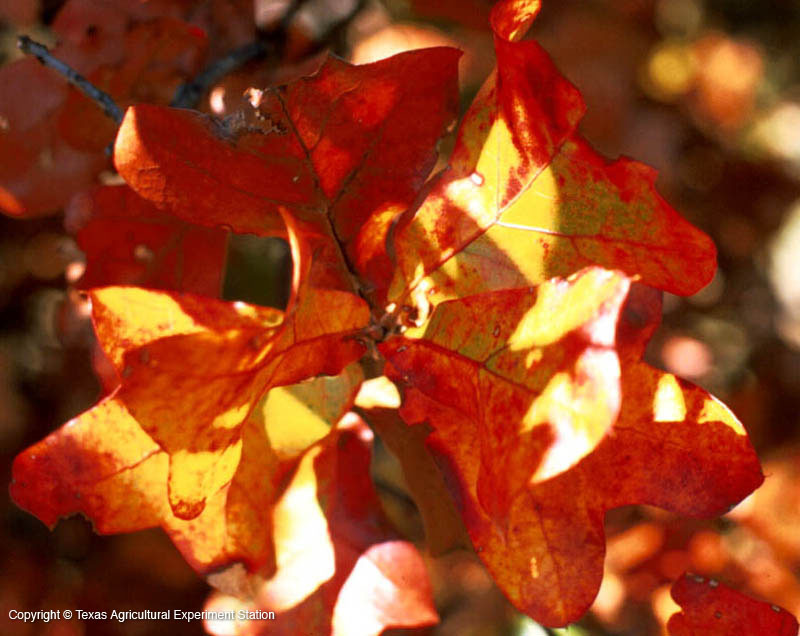 Blackjack Oak grows in the eastern third of the state on acid sands, sandy loams, and clays. It grows to more than 50 feet tall and has distinctive large, three-lobed leaves that are club-shaped. 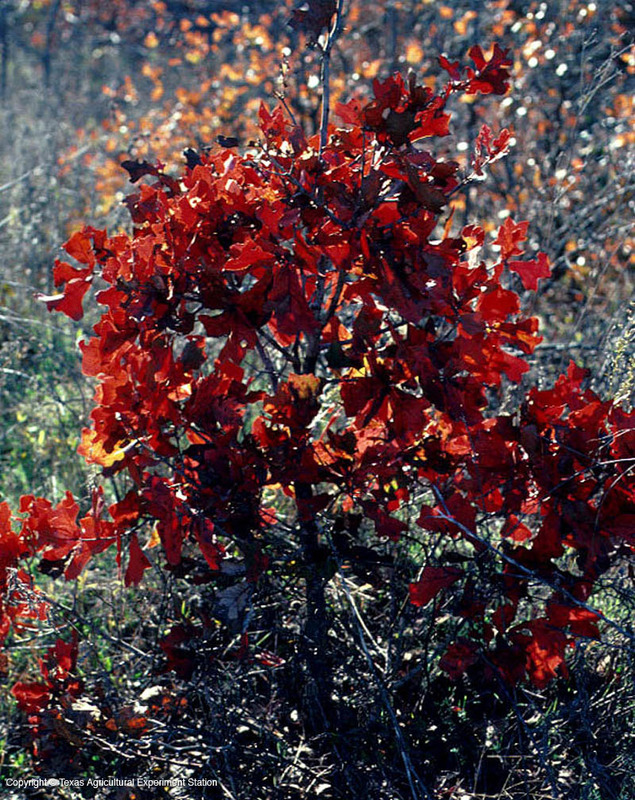 It inhabits similar sites as Post Oak, Q. stellata, and is often considered an indicator of sandy, barren soils. It is drought tolerant, has dark green leaves and pleasing brown fall color, but it is very slow growing and intolerant of poorly draining or compacted soils. 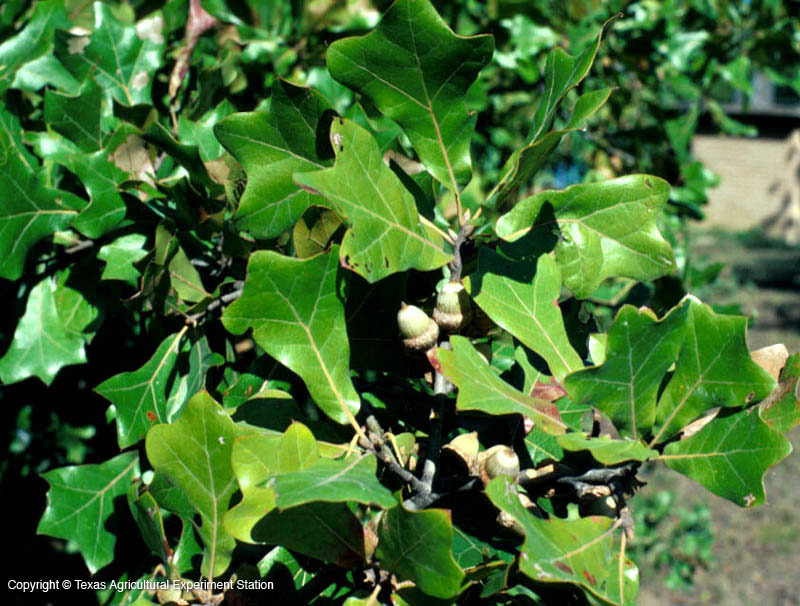 West of where the typical Blackjack Oak is found is a more xeric version that grows on sand or gravelly clay that is only slightly acidic. Height: more than 50 ft.
Width: 15 to 40 ft.